Category Archives: Niki is 6! 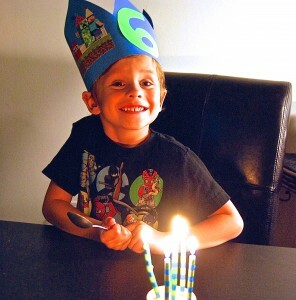 This week my little boy Nikolas turned 6! Being the inquisitive guy he is, Niki asked me "Mama, when will I exactly turn 6? When? When I am sleeping?" I explained to him that since he was born in the middle of the night at 12:25 a.m. (on October 7th, 2007) that he will actually turn six while he will be sleeping..